My foot hurts so try as I might to motivate to run errands I haven’t quite been able to move from the futon today. And since I’m trying not to think about thesis, I just want one day okay without the constant thesis chatter in my mind, and I’m super bored with algo, ugh is there anything that I hate more than advanced calculus I mean that’s why I became an artist right?!. Instead I have decided to focus on you today dear blog, you are my safe space. And you are in for a treat, since I have been home all day I get to make all my favorite snacks! Today’s snacks were two of my loves – chai and yogurt nomnomnomnom. Let’s start with the chai. 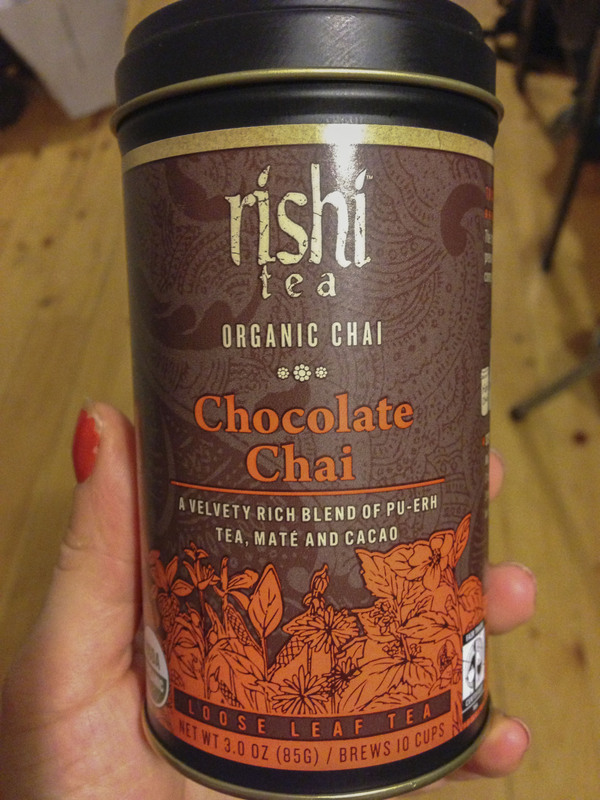 I recently picked up this chocolate chai tea by Rishi, it’s a loose leaf, here’s the ingredients from their website: Organic Fair Trade Certified™ pu-erh tea, organic roasted dandelion root, organic yerba maté, organic cocoa shells, organic cacao nibs, organic long pepper, organic coconut flakes, organic cardamom, organic vanilla bean. Yah I know sounds delish right!? Well let me tell you interworld it is freaking amazing. 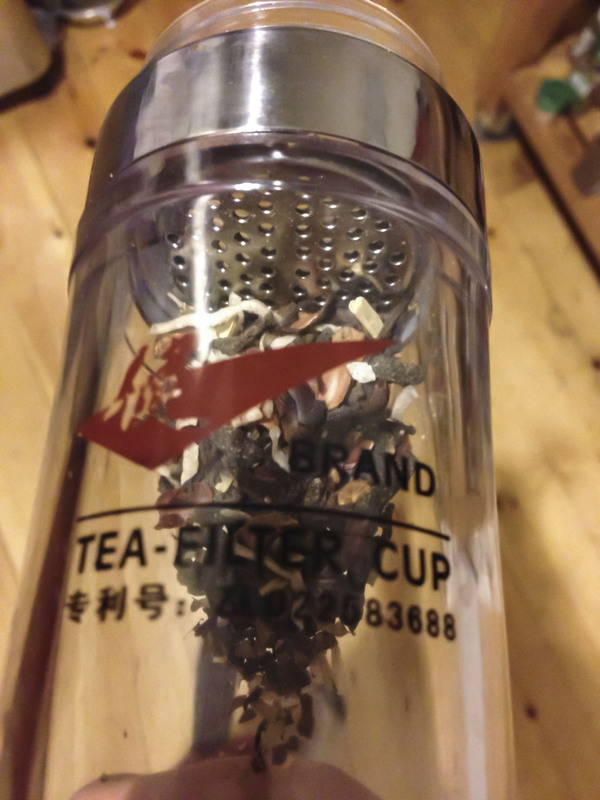 My dad got me the awesome cup that I can put loose tea in and it filters it while you’re drinking it (thanks dad!). 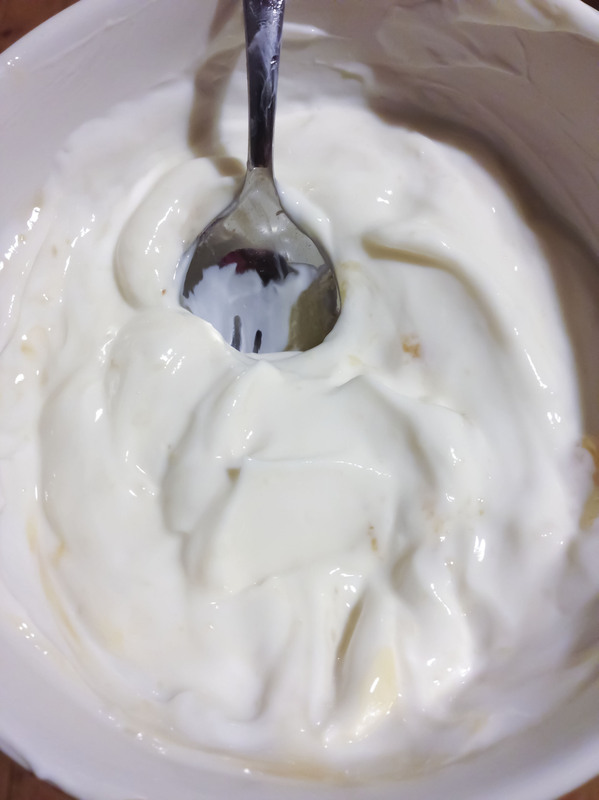 Snack number 2 – lemony greek yogurt. I don’t know what it is about the combination of dairy, lemon and vanilla but I just can’t get enough of it. It’s like a lemon custard, a little tart and a little sweet. I use greek yogurt because I like the consistency. 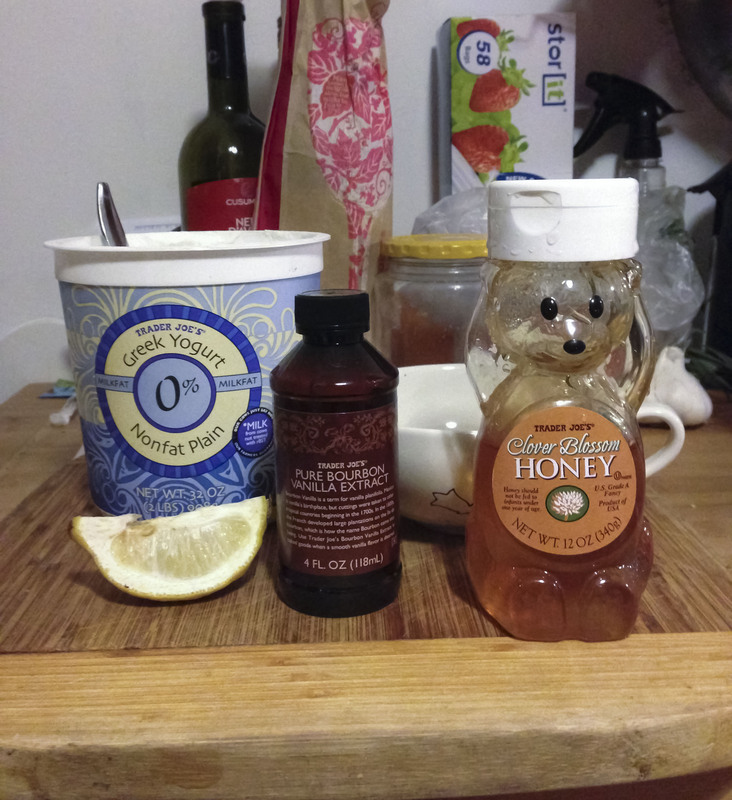 Normally I use local honey from the market but I just ran out so I’m using some of the honey I use for my facial masks, yah you heard that right – a post for another day. This only takes a couple minutes to make so it’s about as easy as it gets. Yogurt is really good for you – it’s got probiotics for your tummy, protein and calcium. Lemons have vitamin C, anti-oxidants, fight free radicals, are good for digestion and can prevent wrinkles, which is great for me because thesis is giving me loads of them! Honey is anti-bacterial, anti-viral, and anti-fungal, and is sweeeet. yogurt – have as much as you want it’s good for you!